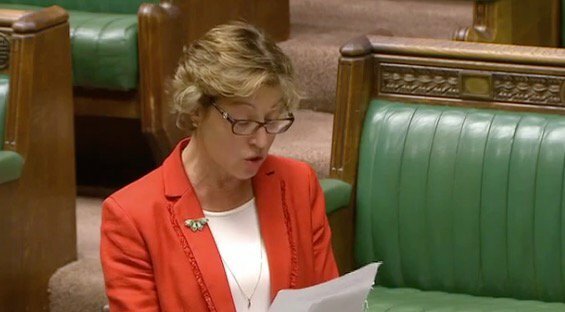 The Canetis GasSaver flue gas heat recovery system was discussed in the House of Commons on March 6th during the energy price cap debate by Rebecca Pow, MP for Taunton Deane, following a stimulating meeting with Canetis at the Energy Innovation Exhibition. The Canetis team including Chris Farrell, Greg Finnigan and Justin Forrest talked at length about their energy saving technology GasSaver and also MARGO, Canetis’ highly innovative device that ‘listens’ to the flow of gas to provide better data accurate billing. Rebecca Pow was just one of the MPs and parliamentarians who were impressed by the significant cost savings that GasSaver and MARGO can make for consumers. 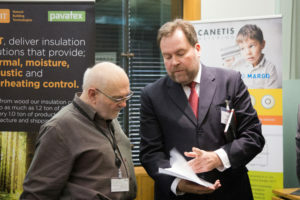 The event held at Portcullis House, Westminster, on March 5th was arranged by Canetis and co-hosted by the Sustainable Energy Association and the All-Party Parliamentary Group for Renewable and Sustainable Energy (PRASEG). In attendance was Claire Perry MP, Minister of State for Energy and Clean Growth and Alan Whitehead MP, Shadow Minister for Energy and Climate Change. The aim of the exhibition was to provide MPs, Peers and their staff with an opportunity to learn more about a range of innovative solutions that will help to deliver the Government’s Clean Growth Strategy, reduce emissions, lower energy bills and improve the comfort of households across the country.